Whether you are looking for scissor lift hire or something more specific, we now have access to more than 27 different kinds of scissor lift from the popular Pop-up products range through to 22m platform height diesel scissor lifts. All are in stock and rapid delivery is available. Our Pop-up products boast a working height of 7.8m and are drivable while elevated. Other features include an extendable deck a tilt sensor and pothole guard – all from just £105 per week plus transport. 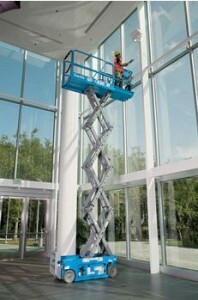 If you need more height then cherry picker hire is also available. 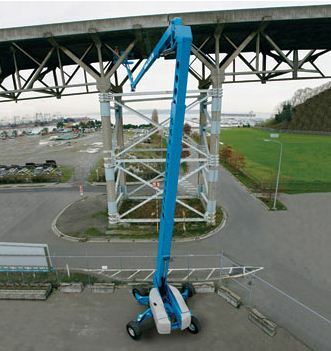 This product has a platform height of up to 43m and is available for next day delivery. In all there is an amazing range of 21 different cherry picker Mewps available from Lakeside-hire with prices from just £218 plus transport. Amazing range of 21 different Cherry picker Mewps. Prices from just £218 plus transport. 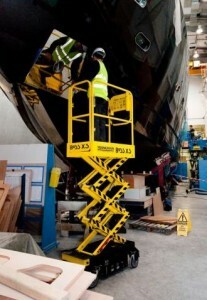 The new Boss x3 scissor lift is proving to be a great asset on site. Robust and stable this scissor lift is speeding up work rates and becoming a great alternative to low level podium steps and scaffold towers. All the information you need on Boss x3 hire is available from experts at Lakeside-hire. The equipment boasts a range of safety features including a tilt sensor; no stabilisers required and a 240kg lift capacity. It can reach its full height of 2.5m in just eight seconds. Hire for this product costs just £95 per week and next day delivery is available. Pop ups have been a popular product on site for many years now. Lightweight, wheel through doorways and a small footprint means that the pop up scissor lift is the small MEWP of choice for many contractors. The equipment has a platform height of 1.6m which gives a working height of 3.6m.It is the perfect small platform for one man plus tools. 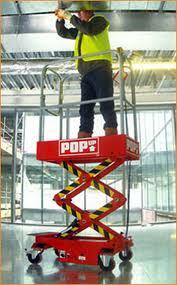 This product holds a good full day’s charge and reduces fatigue related to using podium steps and ladders.